The proposal by Franco Mercieca (Minding Our Gap, The Sunday Times, January 23) and Parliamentary Secretary Chris Said (Light At The End Of The Tunnel, The Times, January 31) to permanently link Malta and Gozo need to be considered in a strategic context. Various proposals have been discussed throughout the years addressing Gozo’s double insularity. While the difficulties encountered by Gozitans to cross the channel are to be addressed it has to be underlined that if a permanent link is introduced it may have various other effects in addition to addressing mobility between the islands. None of the proposals has assessed whether Gozo’s isolation is a positive feature, which, once lost, will never be regained. Once Gozo is permanently linked with the mainland it will be an integral part of it, for better or worse. In particular, one would have to consider whether a permanent link would impact negatively the contribution of tourism towards the Gozitan economy. Certainly, with an easier access, Gozitan consumers could tap the retail outlets of northern Malta. With Dr Said being responsible for consumer protection this could be an added bonus. Whether the proposal is a bridge or a tunnel, a land based or an amphibious airplane. all come at a cost and leave considerable impacts. Costs are not just economic but social and environmental too. A tunnel excavated below the seabed will undoubtedly eliminate visual intrusion into the Comino and Ċirkewwa landscape but it will certainly cause another rubble mountain resulting from excavating through at least six kilometres of rock under the seabed as well as additional kilometres to create the tunnel’s points of access on land. This rubble mountain could be anything between 1.5 and two million cubic metres of excavated rock depending on the actual design of the tunnel and its selected route. The experience of various Nordic countries has been mentioned. At the time of writing a similar project has just been approved by the Danish Parliament to link the Danish island of Lolland to Fehmarn, a German island. Both islands are already linked through bridges to their respective countries. When finalised, this project would reduce the duration of a rail journey between Hamburg and Copenhagen by 33 per cent, from 4.5 hours to three hours. 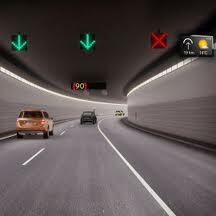 The tunnel will be 18 kilometres long. Works are projected to commence in 2014 and will take about six years to conclude. Costs are estimated to be in the region of 32 billion kroner, that is €4.2 billion. The projected tunnel across the Fehmarn strait will not be of the excavated type but prefabricated sections will be laid on the seabed. The costs of these types of projects are indicative as there are a lot of variables involved. The Channel Tunnel between England and France, for example, overshot its final estimates based on actual designs by over 80 per cent. Geologist Peter Gatt, commenting on The Times (February 3), pointed out that the Gozo Channel’s geology is riddled with faults. In addition, he pointed out there are areas of the seabed around Comino where clay abounds. This, it was pointed out, compounds the issue of expenses relative to civil engineering solutions, which have to be based on a thorough examination of the geology of the Gozo Channel. There are a large number of caves in the areas. In addition, as pointed out by marine biologists, the Gozo Channel contains various marine protected areas. On the basis of the above, it would seem the cost of the projected tunnel would be substantially higher than the €150 million guesstimate of Dr Said. The Fehmarn strait projected tunnel costings point towards an estimate of between €1 billion and €1.5 billion for the Gozo Channel tunnel, that is between six and 10 times the Said guesstimate. This estimate could become more precise when all the constraints, foremost being those of a geological and environmental nature, have been identified. The government is unfortunately approaching the issue of identifying the suitable missing link between Malta and Gozo in a very amateurish and populist manner. It has so far failed to produce a strategy addressing the interlinking of transport between Gozo and the north of Malta. When such a strategy has been produced it should be subjected to a strategic assessment as laid down by the Strategic Environment Assessment Directive of the European Union. The social, environmental and economic impacts of the various options on both Malta as a whole and Gozo as a region would thus have been identified and analysed. The necessary decision can then be taken in the interest of the whole community. It has to be clear to all that if we are to arrive at a solution in identifying the suitable missing link the populist approach utilised so far should be discarded. How about a “tunnel” above the seabed? The example from Denmark is a tunnel made up of prefabricated elements laid on the seabed. Such a solution would reduce substantially the waste resulting from excavation. Issues of geology would still be important as would issues relative to the marine environment and social issues. Personally I wonder how safe it would be to travel in such a tunnel underneath the seabed. Throughout all my 50 years I have never yet come across a tunnel ON MAINLAND MALTA that does not leak water. I believe that the link that would cause least environmental umheaval and yet still be useful in all weather conditions is a bridge that includes a totally covered and weatherproof tunnel for cars, trucks and a tube rail. The bridge and tunnel must be designed to withstand the strongest gale force winds, of course. Ideally such a bridge would also have adequately large uncovered areas along its whole length so that people can walk or cycle over it and benches where one can sit and enjoy the view on fine days. The supporting columns should be designed to include nooks and crannies where birds, bats, plants and other creatures can roost, breed and colonise. So should the underside of the bridge. But whether or not Malta can afford to build AND MAINTAIN such a bridge without the national debt escalating to even higher levels is another question.